If you've been to an Indian buffet, you've probably had some kheer. 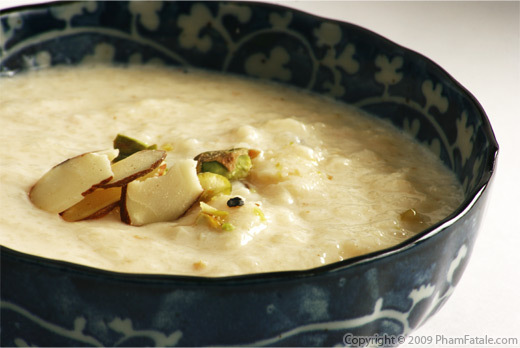 This kheer is a regular rice pudding made with Indian spices. 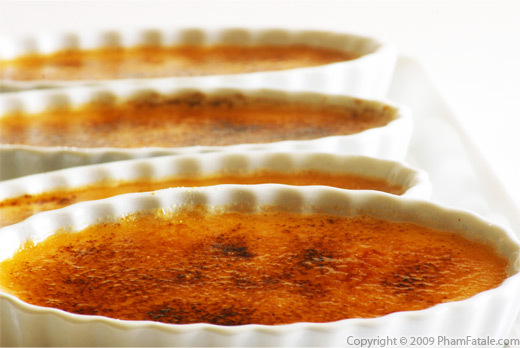 Cardamom, almond and pistachio are common flavorings in Indian desserts. It was flavored at the end with kewra water. 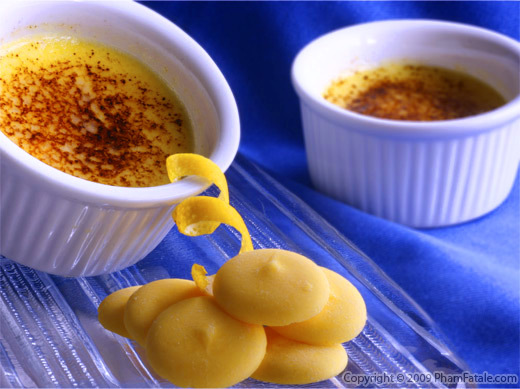 You can also add a touch of saffron water to give a yellow color to the dessert as well. 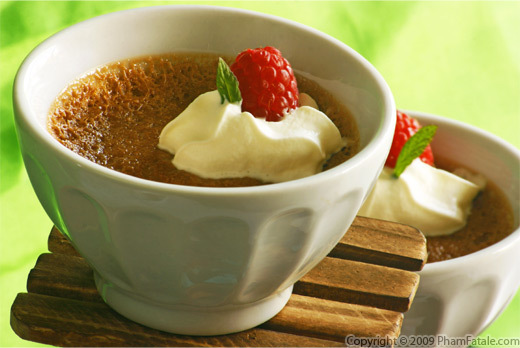 Every culture that uses rice as a starch has some form of rice pudding. In France, it's called le riz au lait. In Vietnam, it's chè đậu trắng, a black eyed pea sticky rice pudding. And of course, there is good old American rice pudding, usually topped with nutmeg, mace and cinnamon. Mina is Lulu's cousin. We had a potluck going on this weekend and she brought desserts. And as a food blog addict, I had to post it.